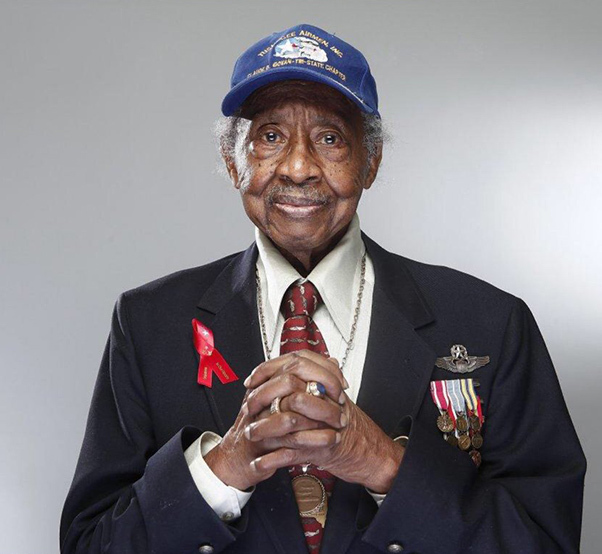 Floyd Carter Sr., a Tuskegee Airman who was awarded a Congressional Gold Medal, has died at the age of 95, according to the New York Police Department. 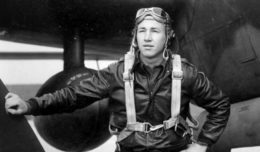 The native of Yorktown, Va., rose to the rank of Air Force lieutenant colonel years after joining the group of African-American pilots at Tuskegee, according to the Daily News. It was there that he met his wife Artherine, who was working as part of an all-female repair crew. 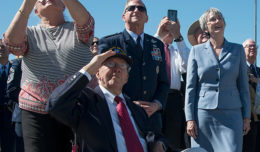 Carter wooed her on several dates in his plane, and they were married at the air base in 1945. In 2012, Carter joined “Star Wars” filmmaker George Lucas for a screening of his film “Red Tails” about the Tuskegee Airmen — the first black aviators in the U.S. military, trained in Alabama as a segregated unit. Carter died March 8. Survivors include his wife; their children, Floyd Jr. and Rozalind; grandchildren and great-grandchildren.